Maxwell Serration Cutters are made from the highest quality raw materials available in the market. They are best suited for clamping surface. The common industries using these cutters include agriculture and automation. Their fine tooth features enable them to produce smooth cuts on all surfaces. Maxwell Tools provides cutters that are efficient in areas where the width of the bevel is less than 15 mm. They can effectively handle large bevels even on small work-pieces. This is an indication of flexibility and opens up the leeway to request a customized piece. The cutters are flexible and will produce excellent results in different circumstances. Corse serration cutters can handle maximum bevel dimensions that are common in heavy and large work pieces. You can order a cutter with customized pitch dimensions which includes the angle and the size of cutters. High standards are maintained throughout the production process to make the cutters durable and efficient. Coating helps to increase abrasion resistance and therefore increase the lifespan of the cutter. Quality productsThe factory is recognized because of its history of producing, designing and manufacturing the best quality products. They have been the source of reliable and efficient products supplied to different parts of the world over the years. Excellent customer serviceExcellent customer service makes your shopping experience memorable. Customers are handled in the most professional manner by experienced personnel. They are keen to listen to your concerns and deliver beyond your expectations. They understand the products and will direct you to make the right decision. They also introduce you to the latest additions to the market so that you can enjoy value for money. Manufacturing ExpertiseThe process of manufacturing each tool involves the participation of highly qualified and experienced staff. The technicians are trained in the best institutions and have gathered tremendous amount of experience. They test all the products from one stage to the other in order to guarantee quality. The cutters are manufactured according to international standards. Results oriented solutionsMaxwell believes in long term relationships with clients. The company endeavors to give the best customer experience and works towards utmost satisfaction. You are provided with an interactive internet portal with detailed description and images of the tools available. The tools on display are the exact ones that will be delivered when you order. Convenience extends to the modes of payment when you order. You have the option of major credit cards and other online transfer platforms. This allows you to make purchases from any corner of the world. The prices are both competitive and reasonable. Maxwell ensures that every tool that is dispatched is thoroughly inspected. The aim is to rule-out discrepancies and ensure that the customer gets the best product available in the market. 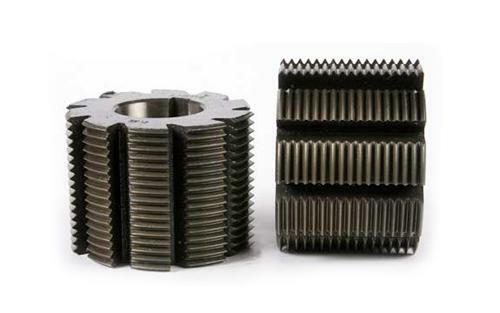 Additional services include gear cutter repair. The gears are shipped from any part of the world. A clear repair and delivery schedule is supplied before the work commences. All options are discussed including the possibility of acquiring a new one. Complains are handled with urgency to guarantee customer satisfaction. The company then takes necessary measure to avoid such mistakes in future.